Spring is just around the corner — the birds are singing and the flowers will soon be blossoming. At least, that’s how it should be — here in the UK it is currently snowing. Go figure. But weather doesn’t affect hardy plugin developer types — with a roof over their heads and a reliable Internet connection they can get on with their work no matter the conditions outside. And that brings me to yet another stellar selection of plugins this month — with one in particular that I have been a long time fan of (and yet only has around 1,000 downloads at the time of writing). Enjoy! Wrapping your content is a piece of cake with this plugin and you have complete control over the effect. Although the possible applications of Drop Shadow Boxes are numerous, one great idea would be to use the drop shadow effect to highlight Calls to Action. As you can see, the plugin is feature-packed and gives you a great deal of control over the appearance of the watermark. That’s a pretty unsexy way to promote the functionality of a plugin so I’ll give it a go myself. Ditty News Ticker performs as you would expect it to: it enables you to create dynamic scrolling and rotating blocks of text that you can embed within your WordPress site. A still screenshot doesn’t really do this plugin justice so check out a demo here if you like the look of it. You can actually include related posts from other sites (although I’m not sure why you would want to do that) and you get analytics data. It’s certainly an interesting alternative to the likes of Yet Another Related Posts Plugin. Download Related Posts by Zemanta. This means that the tweets are loaded in the background without interrupting the load time of the rest of the page. This is great news considering that many social media plugins are a real drain on the resources and can significantly increase the load time of your site. If you’re into SEO then you’ll know that optimizing how your site is displayed in the search engine results can make a big difference to click through rates. By making your site seem more attractive when compared to other results you can actually increase search engine traffic to your site without increasing your rankings. Most bloggers have a preferred social sharing plugin but every now and then something comes along that potential disturbs what is a well-established group of popular plugins. Flare could be just that. 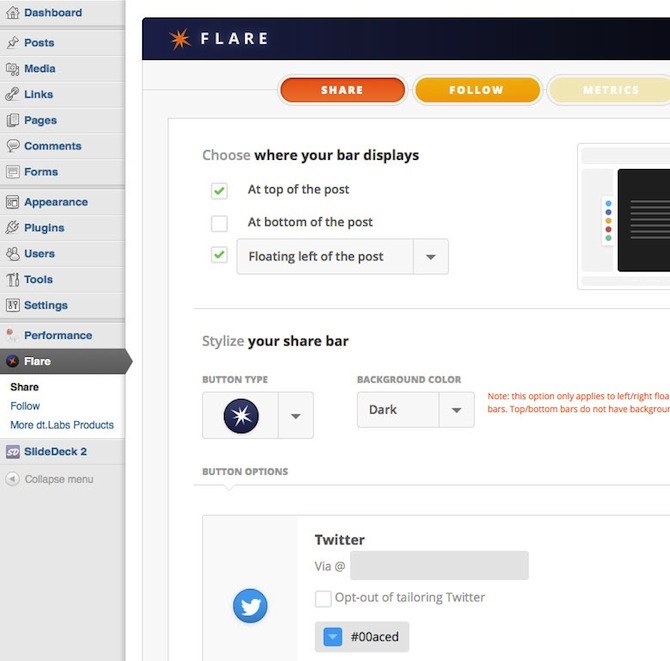 If you’re on the fence as to which social sharing plugin is right for you, Flare may well be worth a look. Author Boxes are underrated; even on single author blogs. Having a little reminder of the face and personality behind the words is always a good thing. Engagement more often than not comes from a reader feeling like they know the author. Brought to you by the fine folks over at ThematoSoup, Fancier Author Box is definitely worth a look. With this plugin you can figure out which of your posts performed the best in terms of social sharing and by extension figure out how to replicate that success. For anyone who has been left frustrated and confused by what PHP file is serving up what page on your site, this is an instant remedy. It’s been a lifesaver for me on more than one occasion and I refer to it often. Great job! Thank you so much for sharing these plugin info. I am now using some of these including the fancier auth plugin. Some plugin here is very useful for blogger. Drop shadows are nice but if you run a responsive site they are no good as they do not respond. Thanks for the awesome post. 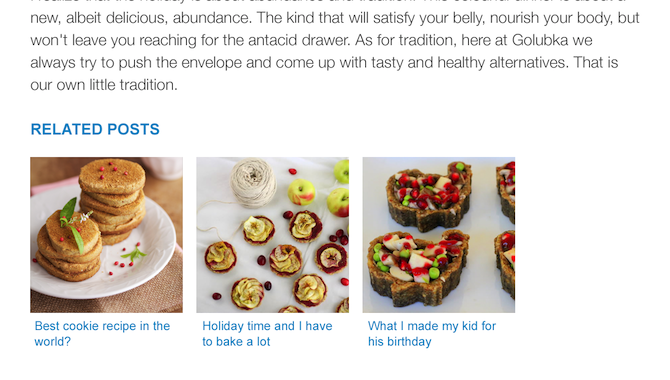 I think the Fancier Author Box is exactly what I have been looking for one of my blogs. I have multiple Authors on it and that is going to be perfect. I wish I had known about it before. Is it a newer plugin? Fantastic plugin (covered it here: https://managewp.com/yet-another-related-posts-plugin) but is way too popular for this list (which covers less well known plugins). I liked Fancier Author Box very much. I will use it. Thanks for sharing. I liked your post and I think all these are very useful plugins. I have tried different social media cross posting plugin but for me Blog2Social is the best user friendly plugin. You can post across all different platform from a single dashboard in which prefilled posting texts are provided and obviously it doesn’t require any server side installation. Great plugins here!Thanks For Shearing. Cool idea, thanks for the suggestion! Me too — simple yet extremely useful! These are really killer plugins for wordpress. I have used them. Thanks for share. Thanks Tom, I found two plugins that was very useful and solved my problems. The Ditty News Ticker works like a charm and the ‘What the File’ will be invaluable. Flare is promising and I really like that over Digg Digg and sharebar plugins.. the one currently used on wpbeginner is also good.. 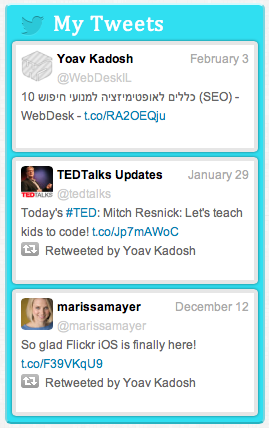 I wish I knew about the: RDFa Breadcrumb plugin before I spent the time adding Rich Media Snippets to my code. Nice find for the future to speed things up though. Thanks guys. Tried Zemanta, as I was looking for a nice “related post” plugin. Seems like this one might do the trick. Some cool plugins… I was actually download two plugins after reading your post. Good stuff. Thanks for sharing. The what the file plugin should be part of WP core IMO. Great plugins here! I’ve set up Flare for my own website and I’m loving it. Love these roundups! Just replaced DiggDigg with Flare and like it so much better. Looks neater and I love how it has the follow buttons built in. Thanks!